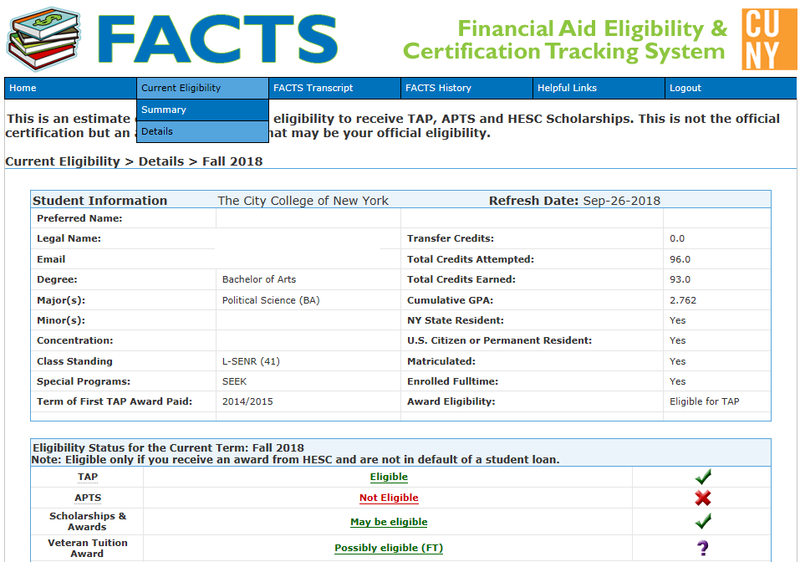 FACTS is a financial aid advisory tool that will help you track your eligibility for the Tuition Assistance Program (TAP), Aid for Part Time Study (APTS) and selected HESC Scholarships. FACTS determines eligibility to receive an award each semester. Login to CUNYfirst at www.home.cunyfirst.cuny.edu. Select "HR/Campus Solutions" from the left menu. Navigate to "Self Service" followed by "Student Center". 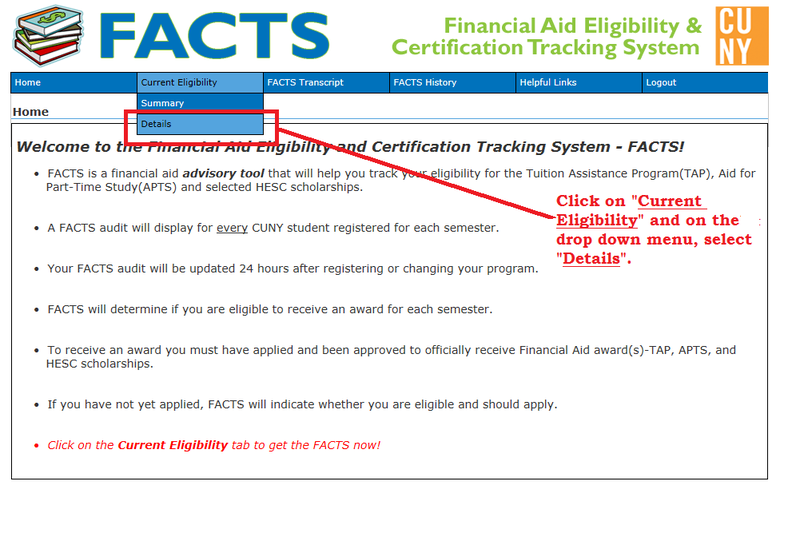 In the Advisement/Transcript section click “FACTS – Financial Aid” link. Once you are registered the “Current Eligibility” tab allows you to view your current status for TAP as well as past aid history. You can view a summary or detailed view of your information. 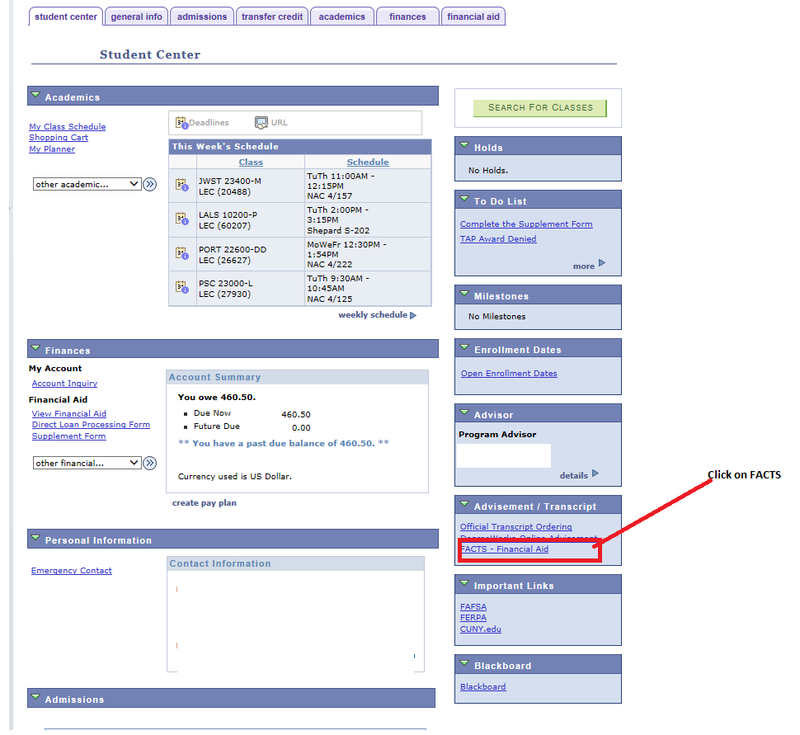 FACTS Transcript allows you to view current and past semesters registered courses and their eligibility status for aid. Contact your Academic Advisor regarding courses flagged as not contributory towards program of study (degree). 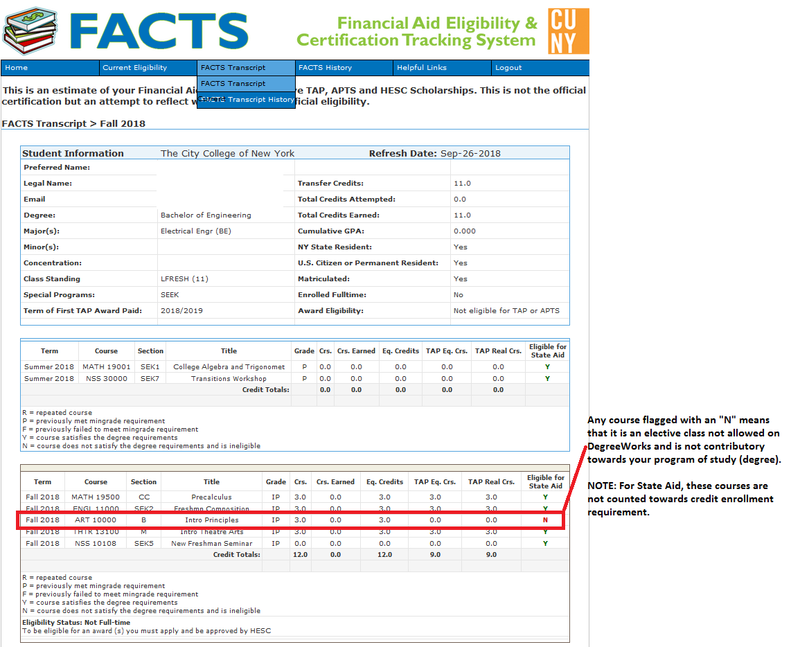 FACTS helps students understand their eligibility for selected New York State financial aid programs: TAP, APTS, and selected HESC scholarships. It is not your official financial aid record. All official financial aid information is stored on the College's Student Information Management System- SIMS or CUNYfirst System. Review the college catalog for the official documentation on academic programs, requirements and financial aid regulations.